During Nintendo’s financial results briefing last week, president Shuntaro Furukawa was initially asked a flurry of questions. Topics included the company’s strategy for Switch this holiday, the user base that will popularize the console, and how pre-orders are going for Pokemon: Let’s Go, Pikachu / Eevee and Smash Bros. Ultimate. The things that make Nintendo Switch uniquely appealing are, for example, that it is a home console system that can be carried around and you can play “anytime, anywhere, with anyone,” that it has shareable Joy-Con, and that people can bring multiple systems together for local multiplayer matches. With regards to our strategy for this holiday season, there are two things we need to do. We need to encourage consumers who already have a Nintendo Switch system to continue playing it, and we need to expand our user base by encouraging people who do not have the system yet to purchase it. Our primary approach to encouraging continued play is to release new software titles. We have a full lineup of games for this holiday season, including Super Mario Party, Pokémon: Let’s Go, Pikachu!, Pokémon: Let’s Go, Eevee!, and Super Smash Bros. Ultimate, and we are actively working to maximize sales for each. We will also encourage people to keep playing their Nintendo Switch systems through our services including expanding our add-on content, and leveraging the Nintendo Switch Online service that newly began in September. Regarding the broadening of our user base, we expect there are still plenty of people who have played Nintendo games in the past but have not yet purchased Nintendo Switch. 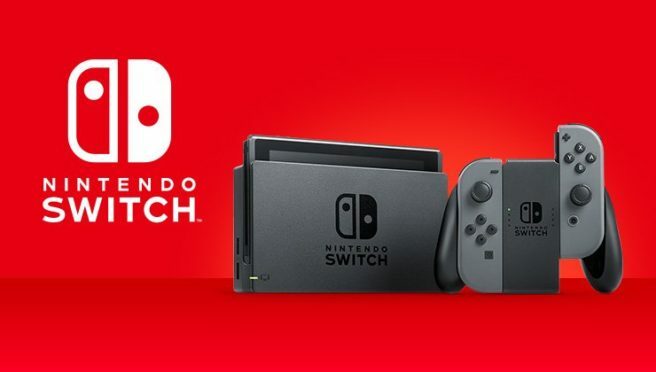 It is our view that we have not fully communicated the appeal of the system to these consumers, so it is important that we adequately convey the unique capabilities and appeal of Nintendo Switch to them. Likewise, there are people out there who play video games, but have never bought a Nintendo system. It is important that our messaging to them clearly shows that there is a more varied lineup of more titles including ones from other software publishers to play on Nintendo Switch than on previous Nintendo platforms. Plus, they can bring their systems with them to play local multiplayer together, and they can play these games on the go instead of only in front of the TV, all thanks to the unique play styles made possible by Nintendo Switch. Finally, it is important that we communicate the appeal of Nintendo Switch to people who seldom play games. Regarding our approach to consumers who do not normally play games, with Nintendo Labo being one of the ways, we attempt to promote long-term sales that go beyond this holiday season. Pre-orders are going well for Pokémon: Let’s Go, Pikachu!, Pokémon: Let’s Go, Eevee!, and Super Smash Bros. Ultimate. We will actively promote these titles via television commercials and other advertising methods in several regions, so we expect pre-orders to grow even further.